Apple has long been rumored to be working on a pair of augmented reality glasses, but a report today suggests that they’re looking to compete with Google, Microsoft and Facebook in the virtual reality space as well. One of the general assumptions many in the market had been operating under was that Apple might “skip” entertainment-focused VR altogether in favor of approaching the lifestyle-focused AR technologies that put a digital layer between users and the real world. I’m fairly skeptical that they would combine these two initiatives as this report suggests; I find it more likely that the “AR” described to CNET is closer to the “mixed reality” technologies that Microsoft has implemented into its VR headsets, basically tech that can take in more environmental information to influence the in-headset VR experience. This is in line with what Vrvana was working on before Apple acquired them last year. For Apple to truly merge AR and VR at the resolutions detailed, they would likely need a fairly bulky design that I would be surprised to see them pursue with an AR product. The technologies that allow for 8K images per eye would likely have to be microLEDs and, at that resolution, they’d be prohibitively expensive right now and almost mind-bogglingly power-hungry. Even testing twin 8K displays currently would take multiple high-end GPUs tethered together. The report suggests that this would be a wireless and connect to an external system running an Apple-designed chip. Streaming dual 8K feeds wirelessly would also undoubtedly pose a daunting challenge, though rendering technologies enabled by eye-tracking could reduce the streaming load considerably. Two years is far away, so perhaps Apple is banking on their own ability to minimize costs on the display-front here. 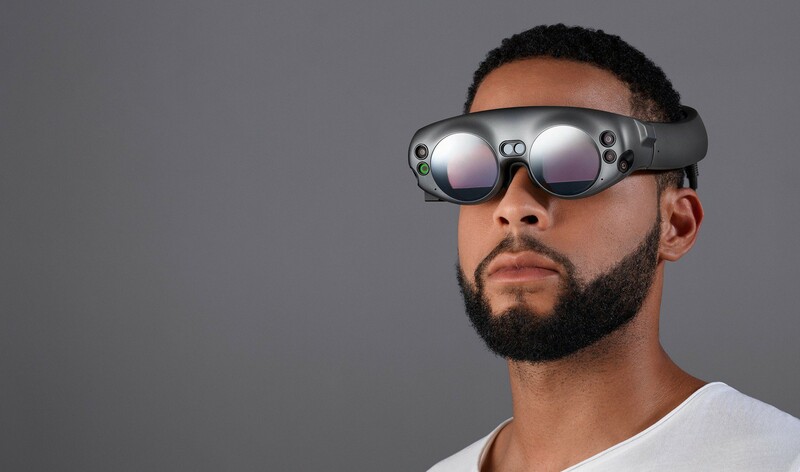 Bloomberg recently reported that the Cupertino company has opened a secret manufacturing facility for the display type, which have a keen use case in head-mounted displays where tight pixel densities matter more due to the lenses as well as the physical distance from your eyes. The report states that this device is slated for 2020, though things could of course change in the meantime. VR seems to be continuing to improve at a steady pace, and while the hype powering its initial boon has largely died off, the tech giants that can afford to nurture the industry have continued to do so. Facebook’s efforts with Oculus have become quite polished in some regards (though there are still plenty of limitations to speak of), and it appears that Apple is recognizing that there’s too much to lose out on if things take off.